Following a budget can be limiting at times—that’s the point. But it doesn’t mean you have to miss out on summer fun. Budgeting is all about moderation and planning—moderate your spending and plan ahead for big purchases to ensure you stay on track with your financial goals. 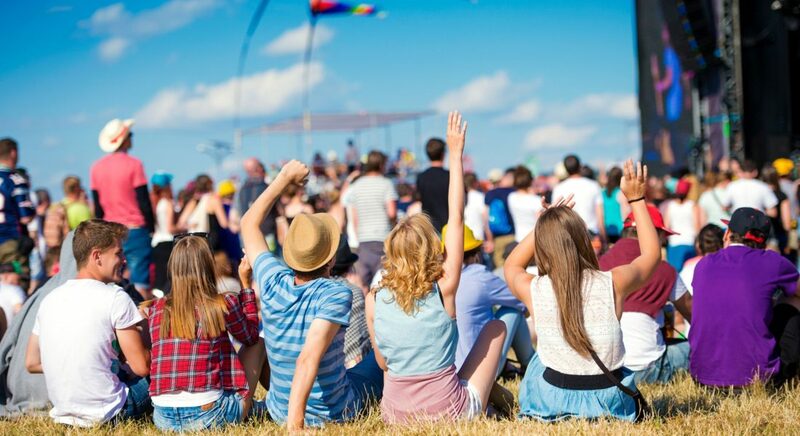 When it comes to festivals, concerts, and other activities this summer, there are plenty of ways to ensure you have your cake and eat it too. Below are four tips to get you started on a path to summer fun. One of the best ways to attend a festival or local event for free is to volunteer. It's rare that a regional festival doesn't incorporate some kind of volunteer component, especially if the event is organized by a nonprofit as an annual fundraiser or benefits local community organizations. Once you have your dream festival identified, scour the event website for volunteer opportunities. Often, there is a volunteer registration form alongside the ticketing information. If you don’t see one, dig deeper to find out if the event benefits a local community group and reach out to the organization to find out if there is a need for volunteers. If you’re in Virginia’s Blue Ridge, below are some festivals and area arts organizations with volunteer opportunities that you may want to check out! Festivals, like sporting events and concerts, have you at a disadvantage when it comes to food that falls within your budget. There’s just no room for a $17 burger! But with a little planning, packing your meals can eliminate your potential refreshment regret. When selecting a festival, look for an outdoor space that allows attendees to bring their own food. At that point, it’s simply a matter of selecting the appropriate picnic for your event experience. Budget-friendly, creative vacations can fulfill your need for a much-deserved break, while delivering the satisfaction of sticking to your budget and meeting your goals. If you plan ahead, you’re more likely to snag those coveted advance tickets at discount prices. Festival and concert promoters often place a discounted value for tickets that are sold months or even a year in advance. This could help you purchase tickets at the lower-tier price and allow plenty of time to recoup the cost before the event, providing peace of mind and stress-free experience! Taking advantage of discount tickets sounds obvious, but can be a missed opportunity if it’s overlooked. Scour the ticketing page for relevant discounts: children’s pricing, military discount, senior pricing, or any other opportunity to save some money. Available discounts could also be unique to each event. For example, if there is a strong education component, teachers may receive special pricing. Investigate the online ticketing portal carefully, and if you don’t see a discount, contact the event organizers and ask. It can’t hurt! Budgeting doesn’t mean you don’t get to have any fun. With enough planning and foresight, you can still attend that festival or see your favorite artist live on stage. Just be sure to have a game plan to help stay within your budget while enjoying the summer fun.